We are manufacturers suppliers from Jamnagar India of all kinds of Brass Line taps.Brass line taps are made from high tensile brass BS2874C2112. 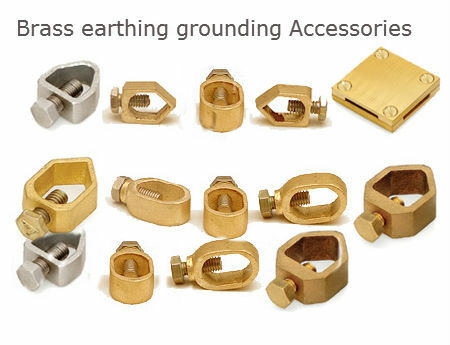 Threads are formed by rolling process giving nut extra clamping force.These are used for connecting Copper and Aluminium conductors under pressure pads. Finishing: Tin plated, Nickel plated or Silver plated. 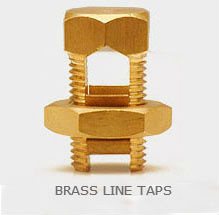 Also Availble Brass line taps in natural finish. 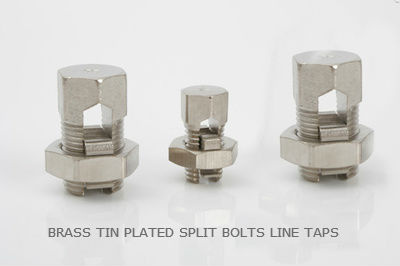 sizes of Availability:Split Bolt Connectors are available from 16 mm2 35mm2 50mm2 75mm 2 125mm2 180 mm2 500 mm2. Higher or lower sizes are possible with customer demand.